As usual, Judge Napolitano makes another strong argument that touches on both the legality and politics of an important issue. This time, it’s gun control. I wonder what Napolitano’s relationship is to Donald Trump. They might despise each other, but they seem to have a lot in common. Both are brash and outspoken. I wonder if Trump could appoint Napolitano to the Supreme Court. I wonder if Napolitiano would take the job seeing as it would probably cause him to take a considerable cut in pay from his current job as TV analyst. Still, the idea of “Trump–Napolitano–Supreme Court” has a ring to it. 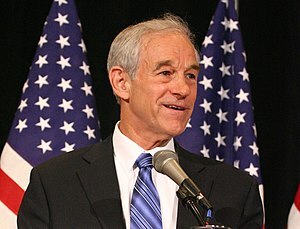 Here’s a Ron Paul video that ends with Ron Paul naming his favorite candidate for Vice President: Judge Andrew Napolitano. Judge Napolitano was recently released from his job as analyst and host of “Freedom Watch” on the Fox Business Channel. Conspiracy theorists instantly accused Fox of firing Napolitano for his pro-liberty statements. Napolitano, however, denied being released for political reasons and asked the conspiracy theorists to cool it. 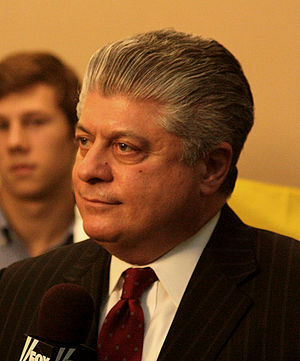 Napolitano denied being mistreated by Fox. Could it be that Napolitano orchestrated his release from Fox to “clear the decks” to give him more time to support Ron Paul? Alternatively, now that the “decks have been cleared,” will Napolitano “make lemonade” by spending more time in support of Ron Paul? 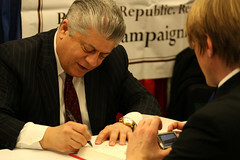 Judge Andrew Napolitano asks a series of “what if” questions. All of these “what if’s” appear to already be true. Judge Napolitano is the first high (or formerly high) government official that I’ve heard of who’s given credence to the “The State vs. this state” hypothesis that I and others have been advocating for over a decade. Where he refers to “provinces,” I’m inclined to speak of “territories” or “territorial states” (rather than States of the Union). Perhaps Napolitano’s description (“provinces”) is better than mine (“territories,” etc.). But if we disagreed as to nomenclature, we apparently agree that the very nature of our State’s governments has been radically changed into something unconstitutional and treasonous. Since 9/11, there’ve been 20 reported attempts by terrorists to attack America. All 20 attempts have been foiled. Three genuine attempts at terrorism were foiled by private citizens. Seventeen were foiled by the FBI and law enforcement. But Judge Andrew Napolitano claims that the seventeen plots foiled by the FBI and Homeland Security were actually initiated by the FBI and/or other governmental agencies. I.e., the FBI would search for young American Muslim men who were angry and isolated. In a “sting” operation, the FBI would then entice the angry young Muslim to enter into a plot to commit some terroristic act against America. Not realizing they were dealing with the FBI, the “angry young men,” would cooperate in the plot. Then, just before the terrorist act actually took place, the FBI would swarm in to arrest the would-be “terrorist”–and claim credit for having foiled another terrorist plot against the U.S.. In fact, these 17 terror attacks were just as scripted as a Hollywood movie and no more real than a James Bond story. But the American people would be suitably impressed by this fiction, and would therefore come to respect the gov-co in general and the FBI in particular. Thank God the FBI was here to protect us, hmm?